We were delighted to welcome people to our Capital Expansion Project Update meeting yesterday. Director Anthony Spira introduced the session by outlining the genesis of the expansion project and the discussions with our audiences that have been central to its development. 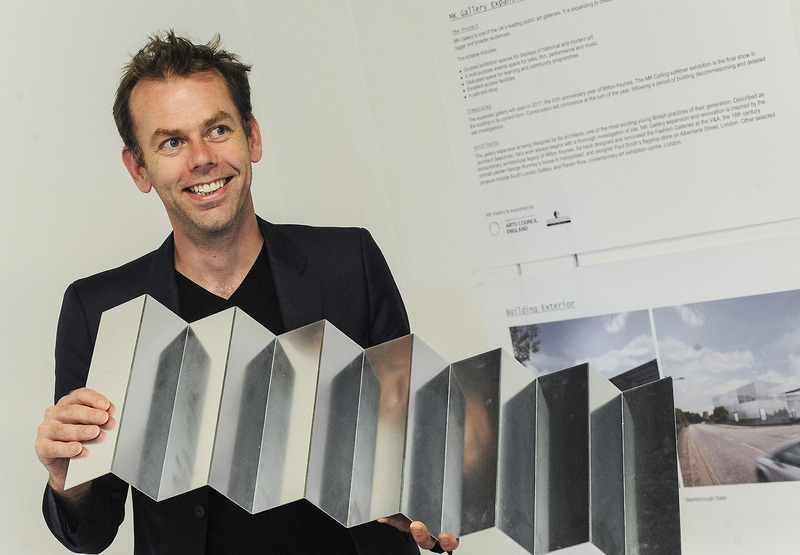 Tom Emerson expressed his passion for the design history of Milton Keynes and shared examples of 6a’s work, including Raven Row, South London Gallery, and Churchill College Cambridge, with emphasis on their experience in the cultural and educational sectors. We filmed the illustrated presentation and you can view it on YouTube HERE. Last week we had a hugely successful launch of MK Calling 2015, the final exhibition in our building in its current form before we start our ambitious renovation and expansion. With an artist group photo at the start, and welcome speeches followed by a hog roast, music and two performances, a great time was had by more than 500 people, and the weather was perfect! We’ve posted some of the preview pictures HERE to give you a flavour of the occasion. Our display of the latest expansion floor plans in the ground floor Events Space proved popular; don’t forget you can see the plans again and hear architect Tom Emerson from 6a talking about them at a free event on Tuesday 14 July at 1pm. Do join us as we’d really love your views on how everything is shaping up. Find more information and booking details HERE. Make a text donation by texting MKGA17 £ followed by the amount of your donation to 70070. You can text donate £1, £2, £3, £4, £5 or £10. Julia Upton, Chief Executive, MK Community Foundation, announcing the award of £311,000 for access facilities for the expanded MK Gallery from the Margaret Powell Foundation Fund on 2 July 2015. 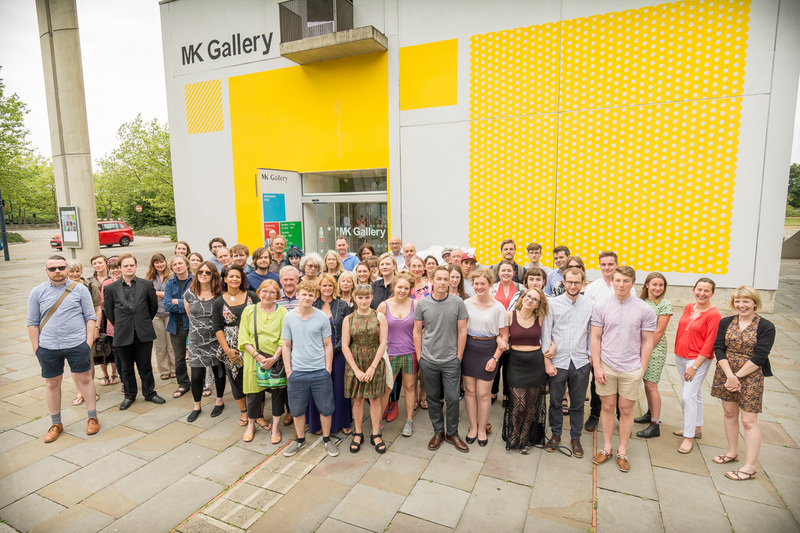 We are thrilled to report that the MK Community Foundation has announced the award of a grant of £311,000 from the Margaret Powell Foundation Fund for state of the art access facilities in MK Gallery. The grant will ensure that by 2017 the expanded MK Gallery building will be accessible and enjoyable for everyone, including visitors with severe disabilities, their carers and families. 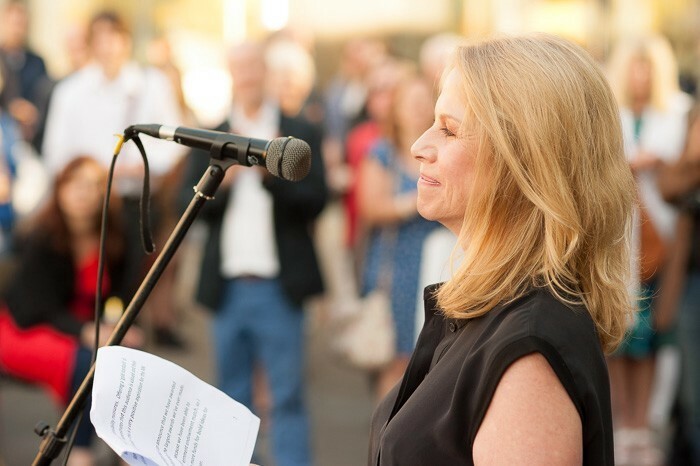 News of the award was confirmed by Julia Upton, Chief Executive of the MK Community Foundation before hundreds of guests during the welcome speeches at our summer party and MK Calling exhibition preview last night. Fittingly, the speeches took place in Margaret Powell Square, the public space in front of MK Theatre and MK Gallery. By 2017 the expanded gallery will include access routes of a generous width, accessible signs, portable seating and a Changing Places toilet – a facility for those whose needs mean they are unable to use a standard accessible toilet. 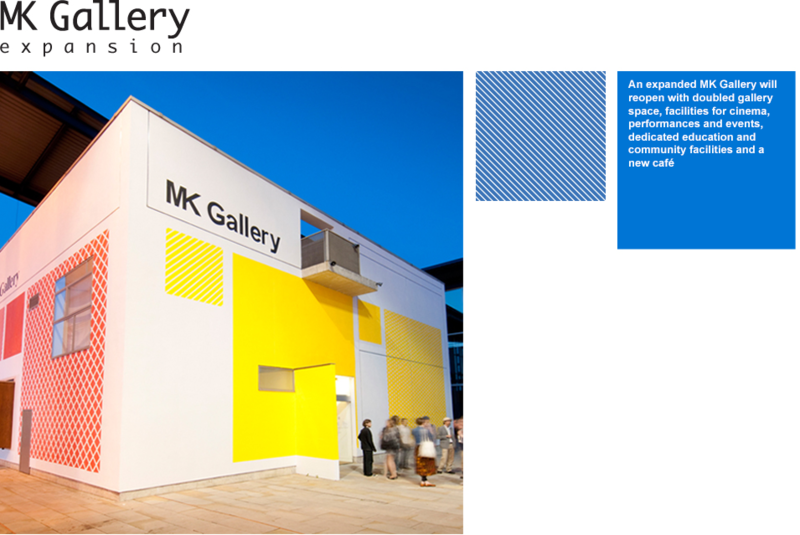 These provisions will hugely enhance the experience of visiting MK Gallery and the Changing Places toilet will open up the venue to an entirely new audience that is currently unable to make extended visits to the Gallery. The MK Community Foundation accepts funding applications from not-for-profit organisations working for the benefit of the community. We’re delighted to be able to share our latest floor plans with you during our summer party and exhibition preview here tomorrow evening (2 July from 6pm-10pm). You will find the display in the Events Space on the ground floor of the Project Space facing the Gallery. Book your free preview ticket HERE. Join us at this informal lunchtime event when MK Gallery’s Director, Anthony Spira, and Tom Emerson of 6a architects will be talking through the latest plans. There will be an opportunity to ask questions and give your feedback. Tea and coffee will be provided.